The WOLA highlights that of the 505 cases registered between 2012 and 2016 which the PGR has investigated against members of the armed forces, mostly due to human rights violations such as torture and forced disappearance, only 16 accused have been convicted by the civil justice system. That corresponds to a 3.2% level of success in the investigations, against which La Jornada denounces the “lack of effectiveness to sanction the army”. The increase in violence in Mexico and the constant violation of human rights. The decrease in urgency and pressure for police reform. That the rendering of accounts has been practically non-existent, due to impunity. 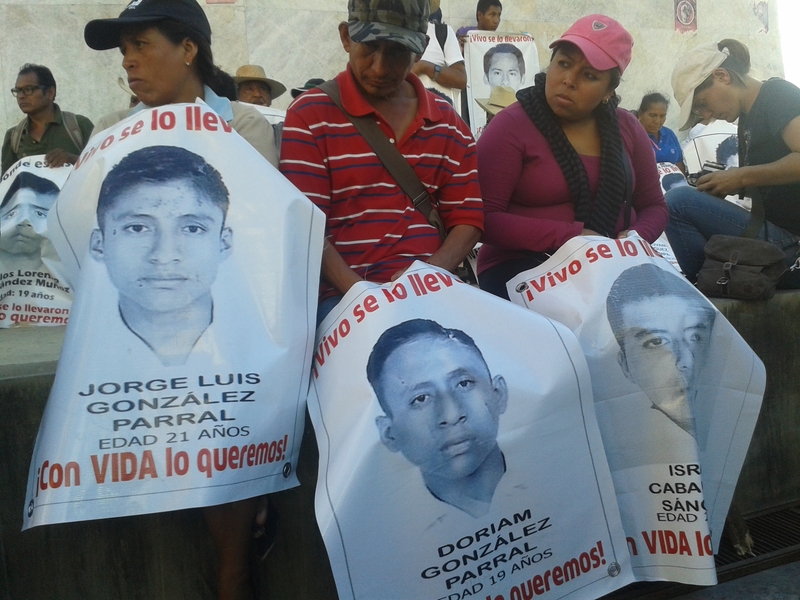 With respect to the Tlatlaya case in Mexico State, which took place on 30 June 2014, the report reviewed the confrontation between civilians and soldiers in which “22 individuals were killed under suspicious circumstances, some of them after having surrendered.” With regard to the forcible disappearance of the 43 students from the Rural Normal School of Ayotzinapa, the report sustained the conclusions which the Federal Attorney General’s Office had come to, maintaining the charges against the mayor of Iguala, José Luis Abarca, and his wife, who were directly accused of responsibility for the disappearance of the students. Beyond this, State highlighted other serious human-rights problems in Mexico, including the lamentable conditions in prisons and arbitrary arrests. In addition, the State report mentioned the death-threats and violence directed against human-rights defenders and journalists, abuse against migrants, domestic violence, human trafficking, abuse against people with disabilities, social and economic discrimination against the indigenous population, the exploitation of child labor, and attacks and threats against the gay community. It should be mentioned that the conclusions of the report will serve as evidence for the U.S. Congress to consider when reviewing the amount of economic assistance to be granted next year to Mexico. The Intercept article notes that, since 2008, the U.S. government has transferred $3 billion in security assistance to Mexico, with much of this having been channelled through the Mérida Initiative, an anti-drug strategy inspired by Plan Colombia. 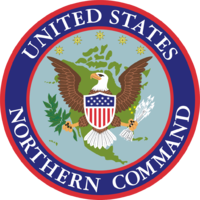 To this support is added the sale of arms and other police and military equipment (Mexico being the U.S.’s principal Latin American trade partner), which reached $1.15 billion last year. After holding a meeting with Stravos Lambardini, representative for human rights from the European Union, the father of a normalist student, an Ayotzinapa student, and a member of the Tlachinollan Mountain Center for Human Rights departed on 15 April to Europe. 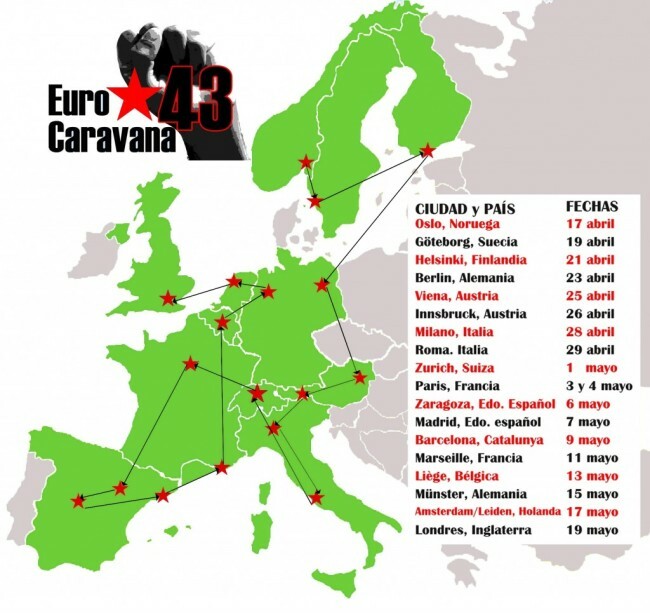 Between that time and 19 May, the brigade plans to visit 18 cities in 13 countries to inform the European community about the continuing struggles of the parents for the presentation with life of the 43 disappeared students. Meetings will be held with student communities, collectives, social organizations, and unionists, while there will also be held marches and rallies in front of Mexican embassies and consulates. Talks will also be given at universities. The “Migrant Way of the Cross,” comprised of about 400 Central American migrants and activists, began on 24 March in Chiapas and arrived a week later in Oaxaca. After spending five days at the Migrants’ Home in Ciudad Ixtepec, it planned to leave on 9 April toward Mexico City. The plan there was to meet with human-rights organizations and a group of senators toward the end of denouncing the human-rights violations that undocumented migrants, principally Central American in origin, face while traversing the country en route to the United States. 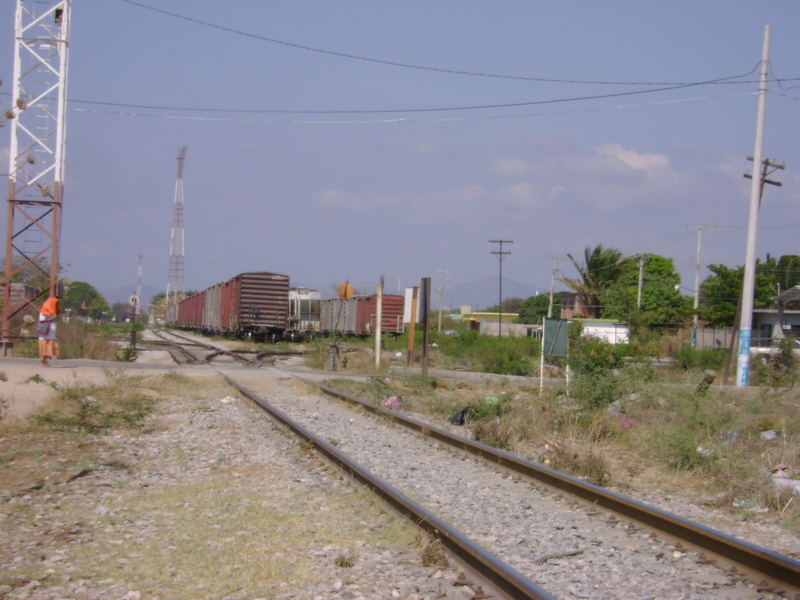 However, the migrants were not allowed to leave Ciudad Ixtepec, as units from the federal police and the National Institute on Migration (INM) erected three checkpoints in the zone and threatened the bus operators, warning that they would arrested for human trafficking. For this reason, the operators refused to transport the migrants. The priest Alejandro Solalinde denounced these actions as a “boycott” and a demonstration of what migrants suffer. A dialogue table was then agreed to that would include Ardelio Vargas Fosado, head of the INM, to negotiate the transit of the 400 migrants to Mexico City. Nonetheless, to date no agreement has been come to, and the risk continues that the members of the caravan will be deported. You are currently browsing the archives for the Merida Inititative category.